Naturally we all want to provide the best products for our little furry friends. Choosing the right litter box for your cat can be challenging. Our research and product comparison will make this task easier for you. All cat lovers will agree that these charming animals are the coolest pets to have. But bear in mind that owning a pet comes with many responsibilities. One thing that might be unpleasant for people who are easily grossed out is cleaning after them. 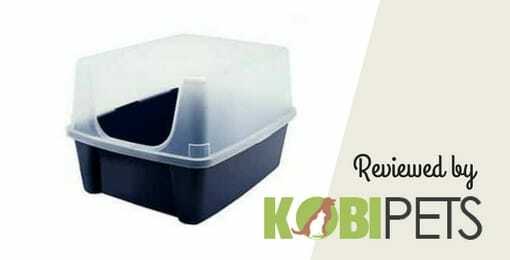 We are here to tell you that your problem can be solved without too much effort, by choosing the best litter box. Here is the list of five litter boxes we would recommend. The first thing we noticed about this litter box is the size. It’s huge, and perfect for a big cat or household with multiple cats. 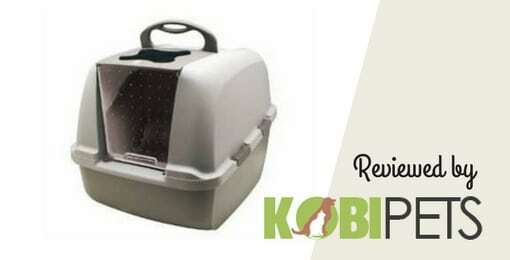 Catit Jumbo Hooded cat litter pan is made of durable plastic, which is not the case with lock hinges on the sides of the box. The material used for them is not as good as the rest of the box. We would advise you to have that information in mind when you assemble it and try to be gentle so you wouldn’t break it. The swinging door is made of see through plastic, and you can easily remove it if needed. Some users complained about doors getting stuck. Be sure to check that before assembling the product. The manufacturer also thought about keeping your house fresh and clean and added safety lid and a replaceable carbon filter to help control the odors. These filters are replaceable, and you can buy them separately. Maintenance is quite easy. All you need to do is remove the lid and replace the litter. The lip on the opening can be used as an anchor for hooking plastic bags. And that means that your hands will be free for doing what you need to do. Aside from the problem with doors which we already mentioned, there is just one more downside to this product – it’s not suitable for the kittens. Removing the lid until your kitty gets bigger might be the best thing to do in this situation. The thing that makes this litter pan stand out are high sides, which makes it an excellent choice for cats that stand while peeing. This litter box is also ideal for households with more than one cat. The Natures Miracle pan is made of antimicrobial plastic, and it comes in graphite color. This color makes it look good on almost every surface, and it doesn’t draw too much attention. The entrance point is the lowest part of this box. This design allows your cat to get in and out of it without too much trouble, but it can also bring some difficulties when it comes to keeping your home clean. The product offers some useful features – antimicrobial protection and odor blocking technology. But this doesn’t mean that you should skip the daily cleaning and maintenance. Another thing that we like is the non-sticking surface which makes scooping and removing the waste so much easier. And because of its extra-large size, it can hold a big amount of it. There is one issue we need to stress here. The open design might seem like a great solution for cats that are ignoring closed litter boxes, but it also means that litter can be found around it, especially if your cat is standing too close to the entrance wall (which is the lowest side of the litter pan). This litter box for cats is a great for all the cat owners living in small apartments and homes. Nature’s Miracle Advanced box has a triangular space saving design that allows fitting perfectly in the corner of any room. It is made specifically for this kind of storage. The product dimensions are 26”x 23” x 11” and the case is 24.2” x 24.2” x 21.7”, which means that it’s very spacious and roomy. Your cat will have no trouble getting in and out of it. There are a lot of benefits to this item. First of all this product does a great job when it comes to preventing odors from spreading. Advanced odor blocking technology and antimicrobial protection inhibits growth of bacteria. Its charcoal filter absorbs smell for up to 3 months. Non-sticking and easy to clean surface means that there is a lower chance of mildew and bacteria appearing in the box. Having second thoughts because your cat prefers open litter boxes? There is no need for that. We are here to tell you that you can always take the lid of. But if your cat starts seeking more privacy, you can easily reassemble it. It is ideal for household with multiple cats. Black color will fit in and look great in any space. This Miracle box is made for cats all ages and suitable for all sizes. Thing we didn’t like are the huge doors which are pretty low and might resault in the kitty mess getting in front of the box. But before letting yourself falling in love on the first sight, let us tell you a bit more about it. With this unique, cool looking design this hidden litter pan looks like a clay pot with an interesting phoenix palm plant and decorative moss. It doesn’t take up large space, so you can angle opening in any direction, which makes it perfect if you are still looking for the best place to put it. It is made from durable polypronynele, heavy-duty plastic that can be separated when you want to clean it. On the top of this product there is filtered vented system that controls and reduces odor and dust. Its dimensions are 19″ x 42″ inches (plant included). So, it is quite big, suitable for multiple cats or a larger one. Big door provides your pet an easy access. The entry is high enough, so there is almost no risk of your cat making the mess outside of it. With its wide opening, you can scoop easily, or you can take the lid off for even better cleaning. Some users complain it’s hard to line up the top and bottom grooves. Well, it takes a few seconds, but it doesn’t really take that much effort. The other downside is that you might find little ‘’mess’’ underneath of the liner pan. So, pay extra attention when you clean it. Just by looking at this product, you can see that this IRIS cat litter box has an open top and three high covers. So if you are in need of a pan without the ceiling, take a close look at this product. Back and side shields are high enough to keep unwanted kitty ‘’mess’’ from getting spilled all over the place. It is large and covers a lot of ground. With the dimensions of 11.75”x 15”x 19”, this product can accommodate a medium size cat, and it is suitable for multiple cats. Plastic material with a high-polish interior surface grants an easy cleaning and maintenance. The open top makes this process even less time-consuming. Assembling the bottom and the top with the detachable shield is easy. 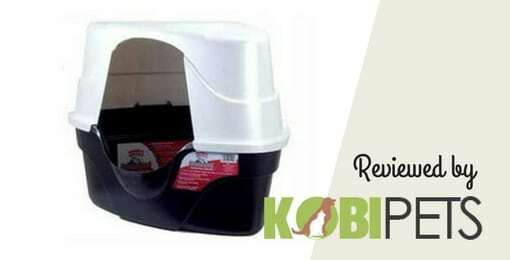 With this litter box for cats, you will also get a matching litter scoop that is designed to fit in the box. If you are the owner of a large cat, you might want to consider another product because the high sides may make it difficult for kitty to move around. The deeper ridges, around the bottom, just gather and hold used litter, so keep that in mind when cleaning it. We all love our cats, especially that playful and energetic side of them. We appreciate them even more because of their natural propensity for cleanliness. However, they are still depending and counting on us to provide what is best for them. Cat litter boxes are one of the greatest innovations for the cat owners. 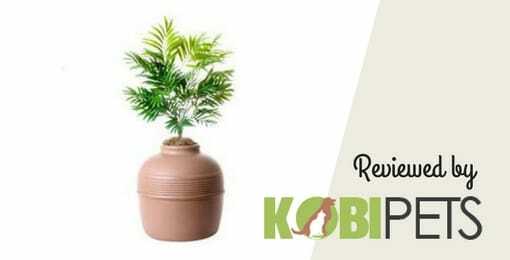 It is specially designed for pets that cannot always go outside to relieve themselves. We single out these several important benefits of the cat litter tray that are good for your kitty and for you as well. These boxes are specially made for our furry friends. There are easy to maintain. 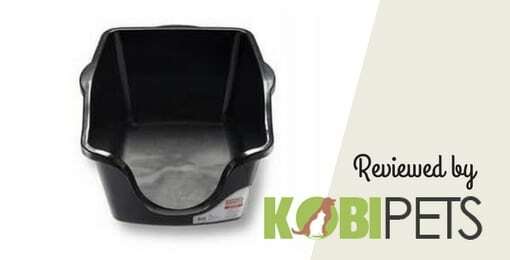 We recommend you to try different types of litter tray and find the right solution. Your cat relies on you to provide her the product that will suit her. After all, you know what is best for your cat. Make sure it is large enough for your big size furry friend or if you have multiple cats household. 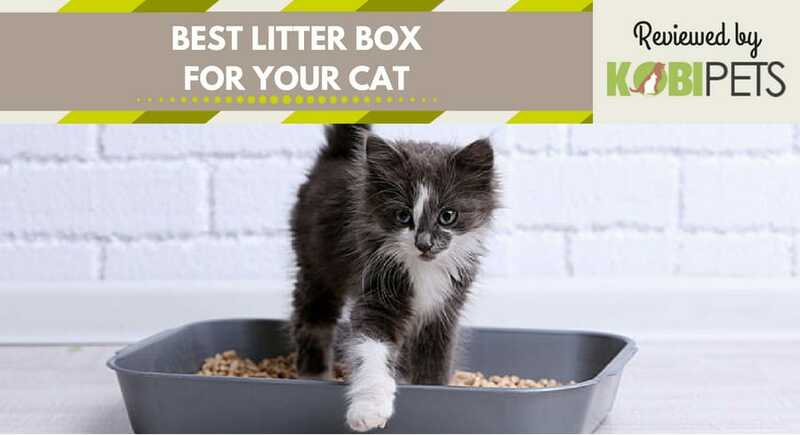 On the other hand, if you want an automatic litter box, follow this link and see our top 10 self cleaning litter boxes. This is the biggest advantage of these litter boxes. With its unique designed plastic and filters, it keeps odor from spreading. Your room will smell less for sure. Also with the different kinds of filters it prevents mold and bacteria that spreads around fast. Its special designed plastic prevents the smell to build up inside. You need to clean it frequently enough, to avoid becoming an unpleasant place for your cat. If she requires, make sure to scoop every day, or more if there’s needed. The veterinary researchers came to conclusion that clean and large boxes are the most important factors in preventing many problems. The removal of feces and urine will produce a better smelling litter tray for weeks. You can also choose the scented and non-scented litter. Well, it may not be anyone’s favorite item, but it is essential tool for those who share their home with a cat. Not only that catbox is eliminating the smell, but it’s also looks great and modern. It may not be the best design element, but it is stylish and smart solution for your household. So, we must agree that the sight looks more appealing. Well, this is absolutely the most important advantage when it comes to these pans. No one likes when their cat make a ‘’mess’’ on the carpet, or anywhere in the room. Unwanted kitty waste continuous to be a major problem of all cat parents. This product is helping to prevent your pet from spraying urine on the floor and walls. With these differently designed boxes you don’t have to worry about that anymore. This is their true purpose. Cat Litter tray are a great option for you and your furry friend. No one wants to find cat waste all around the house. So, look at these litter trays as a private bathroom for your cat. Of course, be very careful when you are choosing the best one. Every cat is different. Pay attention to the size, if you have larger cat or multiple of them. Before you buy it ask yourself does your cat love an open or a closed design? There are a variety of them. So, you might need time for choosing the right one.